The president did not mention the draw of sanctuary cities in his speech. But they are an important part of the immigration enforcement equation and his administration continues to try to reign them in. These jurisdictions shield criminal aliens from ICE, for no reason other than politics. Sanctuary cities actually put illegal aliens who are not necessarily the primary targets of ICE at greater risk of deportation because ICE is forced to make more at-large arrests in immigrant communities – at workplaces, dwellings, and on the street, rather than in controlled jail or courthouse environments. Sanctuary cities are dangerous because they only benefit criminal aliens. We have defined sanctuary policies as those that deliberately hinder federal immigration authorities from identifying or arresting deportable aliens. 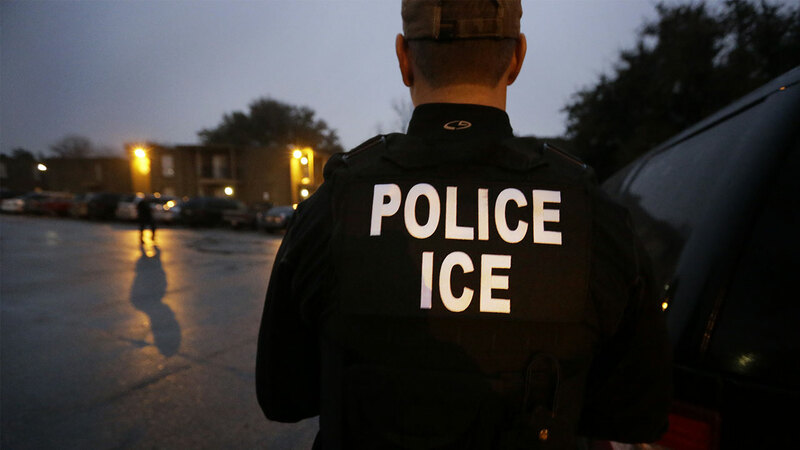 These policies typically take the form of preventing communication with immigration authorities, blocking ICE from contact with criminal aliens, or rejecting ICE detainers and arrest warrants. These policies inevitably cause the release of deportable criminal aliens back to the community, and they are a public safety hazard. Not satisfied with keeping ICE out of jails and courthouses, some sanctuaries are taking it a step further. Many jurisdictions, often major cities, are now using taxpayer funds to actively support and assist illegal aliens living there. Some of these cities provide free legal advice to illegal aliens fighting to stay in the country. Others provide discounted housing specifically for illegal aliens. Alarmingly, some dole out voting rights to their illegal residents. These are the super-sanctuaries. The Pew Research Center estimates that around 400,000 illegal aliens live in the Washington metro area. Luckily for them, the city of Washington, D.C., and the surrounding counties are here to help. The Capital Area Immigrants' Rights Coalition (CAIRC) offers legal aid to all illegal immigrants, even those fighting criminal cases. Most of their funding comes from public coffers, according to their Form 990. D.C. Mayor Muriel Bowser created a $1 million fund to support organizations that help aliens file asylum applications, exacerbating the backlog. D.C. (along with the Department of Justice and Fairfax County) directly support Ayuda, a law firm that "provide[s] expert legal services so that low-income immigrants can overcome barriers and access justice." Hyattsville and Takoma Park, Md., both allow illegal aliens to cast ballots in local elections. A similar proposal for College Park, Md., failed despite strong support from the community. The D.C. metro region is filled with regular sanctuary cities. Fairfax County, Arlington County, and Montgomery County all regularly refuse to cooperate with ICE's detainer notices. But the D.C. metro region acts as a super-sanctuary because its communities also use public money to support illegal aliens. The city's comptroller notes that "New York City has stood as a beacon of hope and opportunity for immigrants, holding out the promise of a better future to millions of people around the world." New York and its surrounding area is home to over 1.15 million illegal aliens, according to Pew, the most of any metropolitan area. Its services for illegal immigrants are widespread and numerous. The city devotes an entire website for "Immigrant Services", largely focusing on the problems of illegal aliens. This includes exhaustive information on topics such as enrolling illegal-alien children in public schools. It instructs people how to act if ICE officers speak to them. Visitors can find links to low-cost and pro bono immigration lawyers. Those in need can find helpful links to welfare programs they or their children may qualify for. Recently, Mayor de Blasio announced that hundreds of thousands of illegal aliens will now have access to health care through NYC Care. NYC Care is a publicly funded system that will allow aliens to access services at NYC Health + Hospitals, the city's municipal health system. NYC Care will cost at least $100 million annually when it is fully operational in 2021. Illegal aliens were able to cast ballots in school board elections until the city did away with school boards in 2002. Legislators continue to debate enfranchising the illegal population for municipal elections. New York City offers free legal advice to illegal aliens as well. Mayor de Blasio personally oversaw the creation of Action NYC, a service of the city that "connects New Yorkers to free, safe immigration legal help." Action NYC's annual budget exceeds $30 million. That is a remarkable sum for a city that still boasts the largest homeless population in the country. New York City is one of the most open sanctuary cities in the country. In addition to city services and legal resources, soon illegal residents will be able to benefit from public health care. That outreach elevates New York to the echelon of super-sanctuary. According to Pew, over 425,000 illegal aliens live in the Chicago area. The Office of the Mayor, currently Rahm Emmanuel, operates a website that celebrates Chicago's status as a sanctuary city. The "Sanctuary City Supportive Resources" website offers advice on how to access city resources and lists a number of participating advocacy groups for immigrants. KeyCity is an optional, valid, government-issued ID card offered to all Chicago residents that will unlock many of the great things our City has to offer. The CityKey card is a photo identification card available to all Chicago residents which will not convey information about national origin or legal status. For many residents who do not have an identification card, CityKey can serve as an official government issued identification and can be used to access city services. Additionally, your CityKey can be used as a library card for Chicago Public Libraries, as well as a Ventra card. Presenting your CityKey at particular cultural institutions and local businesses can also give you a discount. CityKey is now available for free to all Chicago residents. Chicago unveiled a program in 2014 that awarded city high school students with scholarships to attend community college for free. Those scholarships extend to illegal-alien students, as well, allowing them the opportunity to study at two-year colleges for free. A USA Today article noted that while illegal-alien students were eligible for the scholarships, other city students, such as those attending charter and parochial schools, were not. Chicago allows non-citizens to vote in school board elections. Chicago aggressively defends its sanctuary laws protecting criminal aliens. Emmanuel has continued to fight the Justice Department over federal funds withheld from Chicago because of their policies. In addition to those policies, Chicago has a number of added benefits in place to help integrate illegal aliens, making it a super-sanctuary. Former California governor Jerry Brown signed SB 54 in October 2017. This bill made California, in Brown's own words, a "sanctuary state". The Justice Department filed a lawsuit against the State of California because of the law. A federal judge dismissed that suit in July. SB 54 took effect on January 1, 2018. The new law does many things: It forbids all localities from cooperating with ICE detainer notices, it bars any law enforcement officer from participating in the popular 287g program, and it prevents state and local police from inquiring about individuals' immigration status. While passed easily in the California legislature, some counties have protested its implementation. Some joined the Trump administation's lawsuit against the state. California is home to more illegal aliens than any other state in the country. Pew reported last year that about one in five illegal aliens lives in California. The state goes to great lengths to welcome its millions of alien residents. The "One California" Immigration Services Funding program was established in 2015-16 budget and is administered by the California Department of Social Services. Starting in 2016, the program has funded free immigration services, through qualified nonprofits, for low-income Californians eligible for citizenship or some affirmative immigration remedies including the DACA program. The 2017-18 budget increases the program's baseline funding and expands the state funded services to include removal defense services, to broaden affirmative relief, and to expands legal training and technical assistance. The program will have a yearly $45 million investment through the 2019-2020 fiscal year. UC's DREAM Loan Program will receive $5 million per year for at least three years. The program makes student loans available to undocumented students, who are not eligible for federal aid. Students will repay their loans back into the DREAM Loan fund. UC's Undocumented Legal Services Center will receive $900,000 per year. Under California's DREAM Act, these students qualify for state scholarships, grants, and other benefits. They also receive in-state tuition to state universities, a benefit that only a handful of other states offer. California does not offer free medical care to its illegal residents, but legislators continue to introduce bills that would make that a reality. While illegal aliens cannot vote in statewide elections, San Francisco allows all non-citizens to vote in school board elections. It is the only municipality in California to allow this so far, but that may change soon as other towns and counties look to follow the San Francisco model. California's sanctuary crusade did not end with the departure of Jerry Brown. His successor, Gavin Newsom, seems as excited as Brown in extending services to illegal residents courtesy of the California taxpayers, including a proposal to extend state-funded health care to more illegal aliens. As the state's stance on immigration drifts further from the middle, look for California to be the leader in future super-sanctuary legislation. There are many sanctuary jurisdictions across the country that limit ICE's access to jails and courthouses. But these communities have gone above and beyond to establish themselves as the highest tier of sanctuaries. Taxpayer-funded legal advice, education, and medical care are all hallmarks of these new policies. These communities are home to hundreds of thousands of illegal aliens. Their politicians see these actions as part of a winning political strategy. As the fight for border security and immigration reform continues, super-sanctuaries may emerge as a new and growing player in the greater debate. While this short list is not exhaustive, these communities continue to lead the state and local-level fight against federal immigration enforcement. The new and creative ways they have accommodated their illegal residents indicate their willingness to continue the political battle over the illegal population.